I daresay you’d have to be under the age of 4 or have been living under a rock if you weren’t familiar with the spunky, spirited, sweet little red-haired fireball named Annie. The titular character of the well-known musical, based upon the Harold Gray comic strip Little Orphan Annie, has got to be one of the most resilient charmers ever conceived. With music by Charles Strouse, lyrics by Martin Charnin, and book by Thomas Meehan, the 1977 Broadway production ran for six years, garnered three Tonys for Best Musical, Best Original Score, and Best Book, and has seen countless tours, revivals, and screen versions. Now you’ll find it on the boards of the fabulous Westchester Broadway Theatre (WBT). 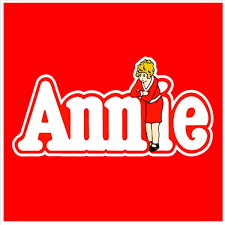 This was my first opportunity to catch Annie on stage as my clearest memory of the curly girl was Aileen Quinn in the 1982 Columbia Pictures version with Albert Finney, Carol Burnett, Ann Reinking, Tim Curry, and Bernadette Peters. With that cast as my gold standard, I wasn’t sure any other production could measure up. I can honestly say, however, that WBT proved me wrong – in fact, they hit it out of the park. While I’ll always hold onto what was the “original” for me, this was a truly incredible night at the theatre. The talent on stage were both a wonder to behold, expertly directed by Mary Jane Houdina, who also was responsible for terrific choreography. Needing little if any summarization, Annie tells the story of an orphaned 11-year-old who resides in the Municipal Girls Orphanage with six other girls. Annie, who had been left as an infant with a note by her parents, has never lost hope that she will someday find them – and living under the heavy-hand (and heavy drinking) of Miss Hannigan, she’s determined to run away to do just that. With the help of her orphanage mates, she escapes, only to find herself right back at the home. As luck would have it, Grace Farrell shows up at the orphanage seeking an orphan to spend Christmas with her billionaire boss, Oliver Warbucks. Annie quickly charms Grace and off she goes, much to Miss Hannigan’s dismay. This life-changing experience, however, does not squelch Annie’s desire to find her real parents. Annie, played by Peyton Ella (and by Kaylin Hedges on Sundays) is everything you’d want and hope to see. She’s incredibly engaging, has the voice of a songbird, and she captures your heart from the opening scene. 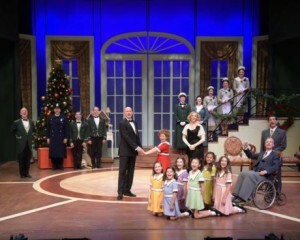 Opposite the youngster is Michael DeVries as Oliver (Daddy) Warbucks. I was fortunate to have seen DeVries in Broadway’s Wicked and he captures the essence of the man who quite unexpectedly falls head-over-heels with the charismatic redhead. Celeste Hudson as Grace Farrell is enthralling, chic, and altogether delightful. Susann Fletcher nailed every nuance of Miss Hannigan’s larger-than-life persona. She hits the sauce as spectacularly as she hits every note and every comedic moment. I also was fortunate to have seen Fletcher as Louise in WBT’s Always Patsy Cline, where she nearly stole the show. Adam Roberts as the smooth but shady Rooster Hannigan was knock-down-drag-out hysterical, channeling Tim Curry’s Rooster and even the likes of Sacha Baron Cohen as Thénardier in the 2012 screen version of Les Misérables. Aubrey Sinn as Lily St. Regis, Rooster’s sleazy girlfriend and partner in crime is fabulous, a triple-threat who can act, sing, and dance. John-Charles Kelly also was a great FDR. The young girls of the orphanage wowed me to the extent that I almost had to pick up my slack jaw from the floor. Their energy tears through the theatre – they are: Haylie Shea Christiano as Molly (Molly Lyons as alternate); Tahlia Ellie as Pepper (Nora Kennedy as alternate); Maureen Henshaw as Duffy (Lauren Sun as alternate); Ruby Griffin as July (Lucy Neureuther as alternate); Anika Bobra as Tessie (Sasha Murray as alternate); Ella Stanley as Kate (Gabriella Uhl as alternate). This is a massive production – the rest of the cast/ensemble worked as one incredibly cohesive unit playing multiple roles: Robert Abdoo (also Associate Director/Choreographer), Kelly Black, Laura Cable (non-performing swing), Joseph Cullinane, Jesse Lynn Harte, Carl Hulden, Ryan Alexander Jacobs, Kelsey Self, Rochelle Smith (also dog handler), Roger Preston Smith, and Billy Clark Taylor. And no production of Annie is complete without a shout-out or bark-out to the role of Sandy – and this one goes to the adorable Sunny, who played the character in the 2012 Broadway revival, plucked from the Houston, Texas Animal Control the day before she was to be put down. She even was featured in an NBC TV special called Annie’s Search for Sandy. As always, WBT makes great use of their stage with multiple moveable pieces and some that rise out of the floor. Sets were beautifully designed, lighting accented appropriately, and projections added to the wonderful overall effect. Kudos to William Stanley for musical direction; Michael Bottari and Ronald case for set design; Suzy Benziger for costume design; Heather Carey for costume coordination; Andrew Gmoser for lighting design; Mark Zuckerman for sound design; Grumpy’s Props for properties; Shannon Harrington for hair/wig design; Steve Loftus for technical direction; William Berloni as Sandy/Sunny’s trainer; Victor Lukas as production stage manager; Duane McDevitt as assistant stage manager; and Lisa Tiso as associate producer. A big hand also to musicians: Bill Stanley, keyboards; John Bowen, assistant musical director, keyboards; James Mack, percussion, drums; David Dunaway, bass; Brian Uhl, trumpet; Jason Ingram, trombone; and Von Ann Stutler, musical contractor. As one would hope, favorites such as “Tomorrow,” “It’s a Hard-knock Life,” “Easy Street,” and “Maybe” delight audiences young and old. The cast did such a magnificent job bringing this beloved story to life, I sat there wishing not only that I had brought my kids, but that I could come back and see it again. Catch it now, because tomorrow it may be gone! If one were to google the word “classic,” one would find an endless resuscitation of definitions for the word. At the core of the vast majority of definitions, however, is the notion of timelessness. If one were to drill down further, one would find a plethora of synonyms including: enduring, immortal, perennial, archetypical and, in today’s world of social media, being able to play across different media platforms. Such is the case with the character of Little Orphan Annie, who made her debut in a comic strip in 1924. 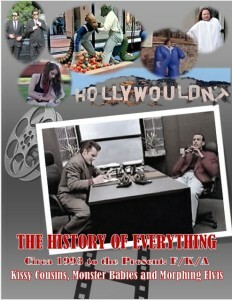 Since then, the character has spawned an incredible franchise consisting of radio shows, movies, and plays. Obviously, taking on such a dynasty as Annie and its progeny is somewhat of a risky task. Not only do you have the memories of the old comic strips and radio shows to compete with, but also three movies – one in 1982, another in 1999, and then again in 2014. The film, which is a classic in its own right, is John Huston’s 1982 version with Albert Finney, Carol Burnett, Bernadette Peters, and Tim Curry, just to name a few. So it was with this mountainous iconic backdrop that we saw Westchester Broadway Theatre’s (WBT) production of the musical stage play, Annie. 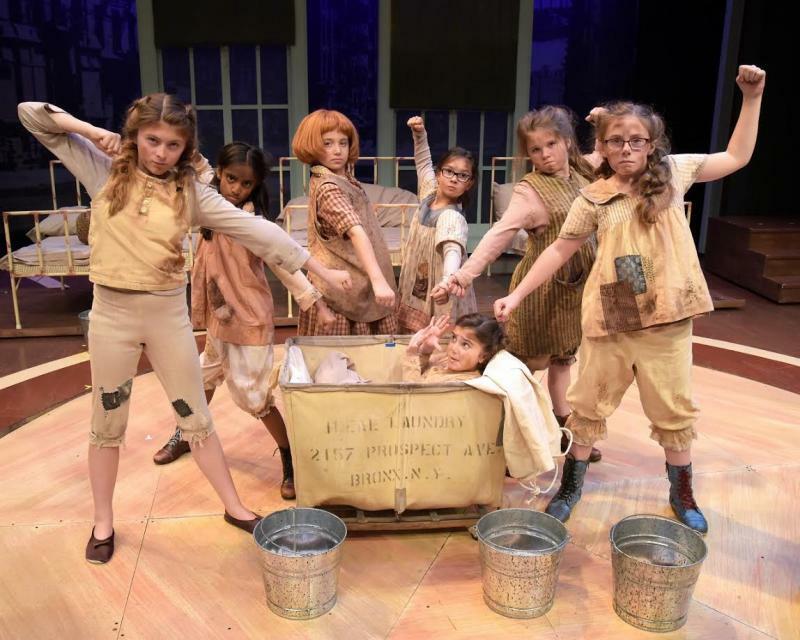 I am pleased to report that WBT’s Annie is simply wonderful, and can stand equally among the rich and diverse heritage that the character of Little Orphan Annie has in past incarnations. WBT’s Annie was a fabulous, funny, touching, and ultimately inspiring tale of love, the need for family and a sense of belonging to something greater than oneself. WBT’s production is first-rate and I defy anyone to leave without a smile on his or her face. Obviously, casting is key. Much of the play rests on the shoulders of a child who must not only be a triple threat in terms of acting, singing, and dancing, but also must have that je ne sais quoi – the “x” factor; that indefinable, elusive quality that previous child icon Shirley Temple had. WBT has all of that in the wonderfully talented actress, Peyton Ella, who plays Annie every night except Sundays. Even at her tender age, she has a professional resume that many veteran and seasoned actors would die for. But, more importantly, she has that indefinable something that enables her to stand tall with past Annies. The rest of the casting is pitch-perfect. Michael DeVries brings a commanding presence to his portrayal of Daddy Warbucks – authoritative yet with a heart of gold that only a child can reach. Susan Fletcher is positively side-splitting as the devilishly cruel Miss Hannigan, the manager of the orphanage. Although she channels the great Carol Burnett who played the role in the 1982 film version, she definitely makes the part her own. Adam Roberts and Aubrey Sinn make a perfect couple on the grift as, respectively, Rooster Hannigan and Lily St. Regis. Celeste Hudson hits just the right note as Warbucks’ assistant, Grace Farrell, as does John-Charles Kelly as President Roosevelt. A show like Annie simply cannot be done without an incredibly organized and creative Ensemble of actors who can sing and dance. There is more talent in the children ensemble of actors than in entire cities. 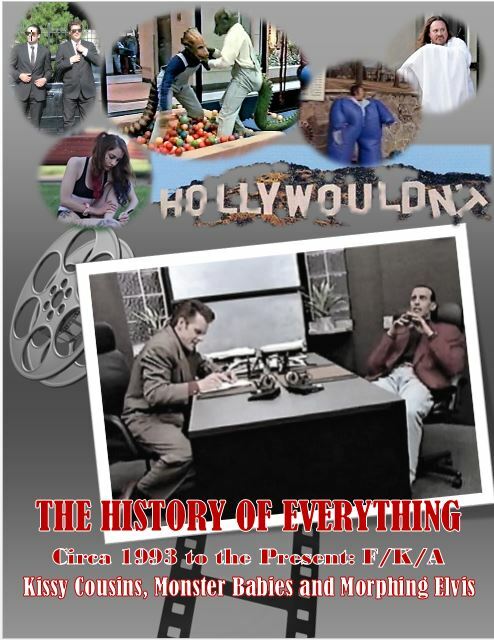 Although spatial limitations prevent me from listing everyone by name, suffice it to say that each actor’s contribution is critical to the successful production of the show. Classic musical numbers like “It’s a Hard-Knock Life,” “Tomorrow,” and my personal favorite, “Easy Street,” were deftly handled by the orchestra under the superb musical direction of William Stanley. Shout-outs also must go to the complex set design by Michael Bottari and Ronald Case. Costume design by Suzy Benzinger, and hair and wig design by Shannon Harrington. Despite the fact that Annie is a period piece (and, incidentally serves as a great history lesson about the depression and FDR’s New Deal), the themes of love, inclusion, belonging, poverty, unemployment, etc. are just as relevant to today as they were back in the 1920s and 1930s. Annie is a true classic of the ages and for all ages. Don’t wait till the sun comes up tomorrow to see WBT’s Annie – experience it today!